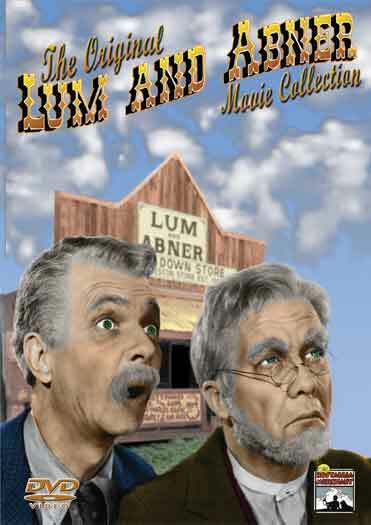 Seven great Lum and Abner Movies plus an extremely rare TV Episode. Each move was carefully transfered from 16 mm film. Our engineers decided to put only one movie on each disc to keep the video quality at it’s best. Excellent quality video and audio. The TV episode was transfered from Betacam SP format tape. You get 8 DVDs in this collection. BEAUTIFULLY PACKAGED, Shrink wrapped and ready for gift giving. Dreaming Out Loud, The Bashful Bachelor, So This is Washington, Two Week to Live, Going to Town, Partners in Time, Lum and Abner Abroad, and their Pilot TV Show which was never aired.